Rwanda is launching a drone delivery program Friday, which the country says will save lives. 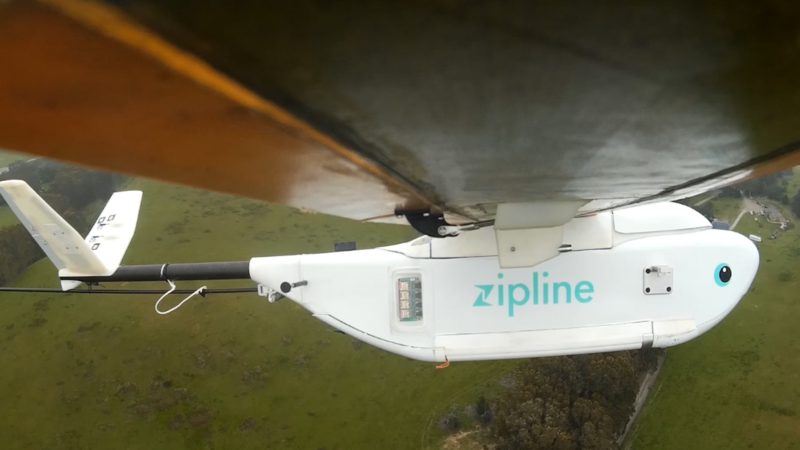 Rwanda is partnering with Silicon Valley drone startup Zipline to deliver medical supplies to five of its hospitals. Within a year, they plan to expand the program to nearly half of the country's 45 hospitals. The drones will make up to 150 deliveries a day. Previously, it took an average of four hours to make an emergency delivery to a hospital. With a drone, those deliveries can be completed in 15 minutes, according to Jean Philbert Nsengimana, Rwanda's minister of information and communication technology. "In certain cases it was really bad," Nsengimana said. Roads could become impassable during the rainy season, slowing vital deliveries from the National Center for Blood Transfusion. It's cost-prohibitive to keep every supply on hand in the country's hospitals, so some things are only delivered to a hospital when there's a specific need. But this is problematic if a patient is hemorrhaging, and a certain type of blood isn't available. Postpartum hemorrhaging is the leading cause of death for pregnant women in Rwanda. 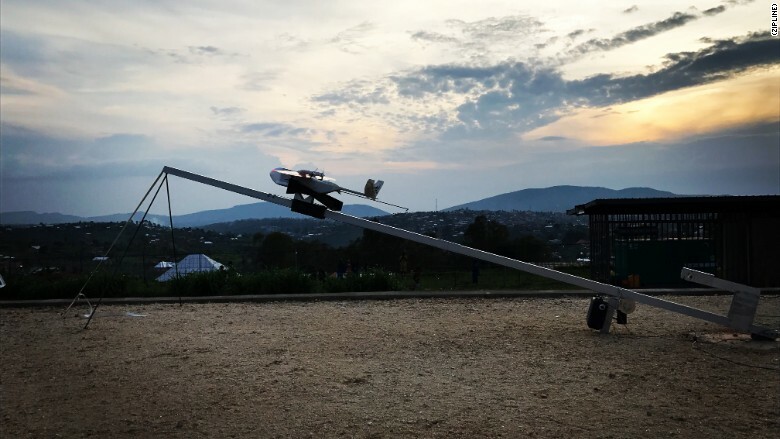 With the launch of the program, Rwanda is leapfrogging ahead of the developed world, which has been more cautious in embracing drone technology. The Zipline drones in Rwanda fly autonomously and far from the sight of any human monitor. That type of operation isn't currently legal under the U.S. commercial drones laws that went into effect in late August. Nsengimana said his government is convinced the drones are safe, in part because they have emergency parachutes that deploy when the system fails. "In the worst case scenario, when the aircraft goes completely out of control, it's not going to cause any significant damage," Nsengimana said. The Zipline drones are what's called fixed-wing drones. They resemble miniature planes, with a long wing, rather than quadcopters, the most common type of small drone, which has four propellers. Fixed-wing drones are far more efficient, allowing Zipline's drones to complete trips up to 93 miles. Each 31-pound drone's wingspan is about six feet. As the drone flies over a hospital, it releases a package out of its belly. The package slowly descends with a disposable parachute. Nsengimana said that once the program is operating nationwide, the costs will be comparable to what it pays to deliver medical supplies via vehicles. Rwandan President Paul Kagame will officially launch the program in a ceremony Friday.